To decommission an Active Directory Domain Controller (Windows Server 2003/2008) is a fairly straightforward task so long as you make sure nothing is relying on that server specifically. I will cover off the demotions steps (fairly easy) but I will go through a checklist (and how-to) of gotchas that you might get caught out when doing this. What to check before demoting your DC? If you remove the last remaining Global Catalog server from a domain, you will experience logon issues across the domain along with other functions like searches and lookups. If you remove the last Global Catalog server from a site, users/machines will have to contact a Global Catalog server from a different site. This may not cause problems with small branch offices, however large sites may suffer with the additional overhead in traffic. If you have more than just the DC that you are preparing the demote, then you have nothing else to do as the DCPROMO steps will remove it automatically. If you don’t have any more, follow MS article 296882 to make another DC a GC. Flexible Single Master Operation roles (FSMO) are a feature of Microsoft’s Active Directory and you need to make sure they are not present on the server you are demoting. If none of the server names are the one you are demoting then you have nothing else to do. If you are then follow the MS KB Article 324801 noted below. The output should be all the bridgeheads that are configured on that server. If it looks like the below screenshot, then you dont have any configured, otherwise you will need to reconfigure this before proceeding. There are some general server checks that you should run on your servers/domain to make sure it is healthy before running a DCPromo. There are a couple of reports that give you plenty of info, and they are quite easy to read. Search for the term ‘error’ or ‘fail’ on dcdiag and netdiag reports to locate the problem areas, but i do recommend reading through the entire logs to familiarise yourself. 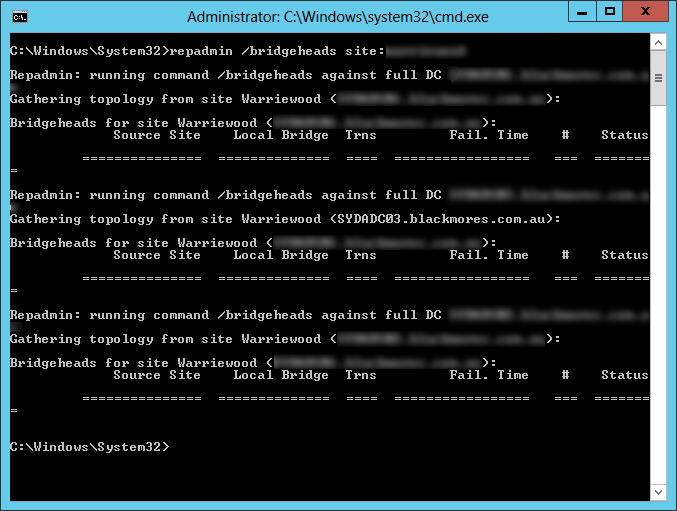 DCDiag (part of WS03 SP1 Support tools) displays all information about Domain Controller information. NetDiag provides information about specific network configuration for the local machine. RepAdmin helps diagnise AD replication issues with WS03 and WS08 DC’s. 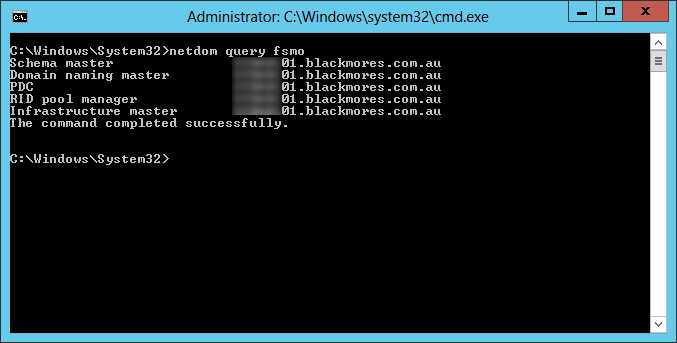 DNSLint is a Microsoft Windows utility that helps you to diagnose common DNS name resolution issues. If you need to move all FSMO roles the logged-on user should be a member of the Enterprise Administrators group. This is required to transfer Schema master or Domain naming master roles.The rest of the operations can be done with a user who is a member of the Domain Administrators group. The procedure involved is fairly straight forward so I will only document the steps. For more details and screenshots of the steps, refer to the resources below. On a domain controller, click Start, and then click Run. In Open (or Run), type dcpromo to open the Active Directory Installation Wizard, and then click Next. On the Remove Active Directory page, click Next, and then continue to follow the wizard. So you may have tried the above steps and it didn’t work? Or maybe your server crashed and you don’t want to try recovering it? There are a number of reasons why you may end up in this scenario – although not favorable its not all doom and gloom. Below are some resources to get you out of a pickle. Thank you so much, you saved my AD from having issues. Great simple little checklist. This saved me a lot of time, thank you! 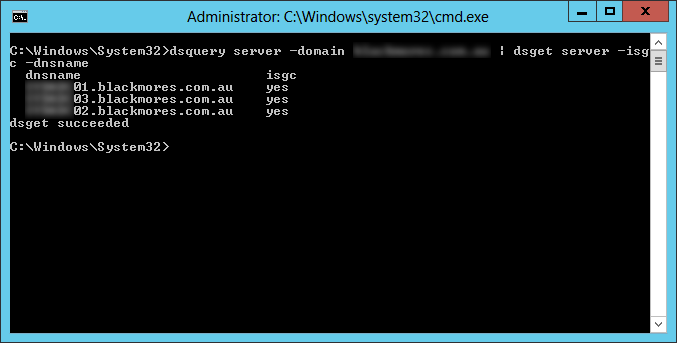 To add, also make sure dns server on 2003 server is pointing to new dns server instead of itself. Before you can install or remove Active Directory, you must remove Certificate Services. For information about the consequences of removing Certificate Services, see Help and Support. Very helpful. Great instructions. Thanks much. Comprehensive, articulate, everything you need to know. I missed the NTP setting, hence the thank-you-so-much post. Thank you for the feedback. Greatly appreciated. Thank you Ivan. It’s 2019 and this is still useful for getting rid of the remnant 2008 servers.